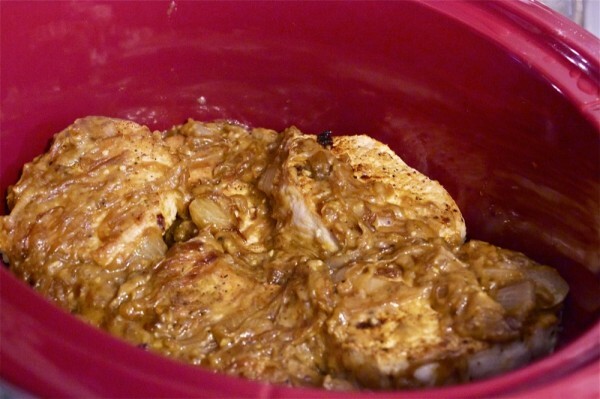 These Slow Cooker Pork Chops with dijon cream and caramelized onions are one of my favorite ways to make pork chops! 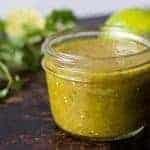 Tender and super flavorful, this unique sauce is amazing over some mashed potatoes or buttered noodles. 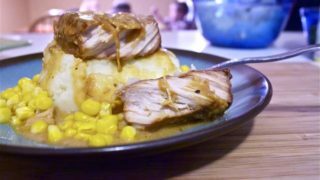 The first time I made these pork chops with caramelized onions and dijon cream sauce, I was very skeptical. I didn’t know how it would turn out. When it was finished I was very surprised and very pleased. 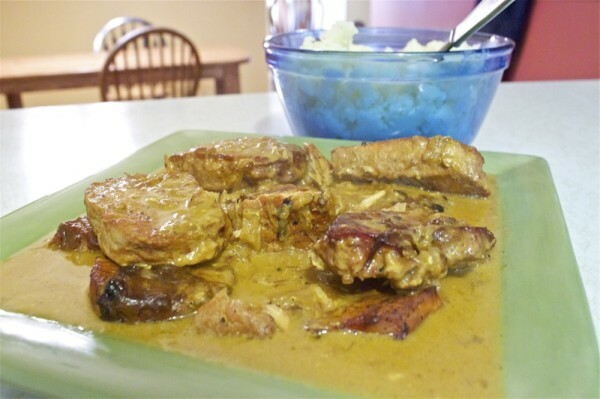 This is a unique pork chop dish for when you are in the mood for something different. 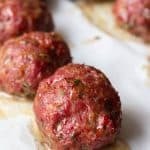 It only takes about 30 minutes to throw together and get into the crockpot in the morning, and then in the evening all you have to do is either mash some potatoes or boil some egg noodles with a vegetable on the side for a delicious, easy, and filling meal. 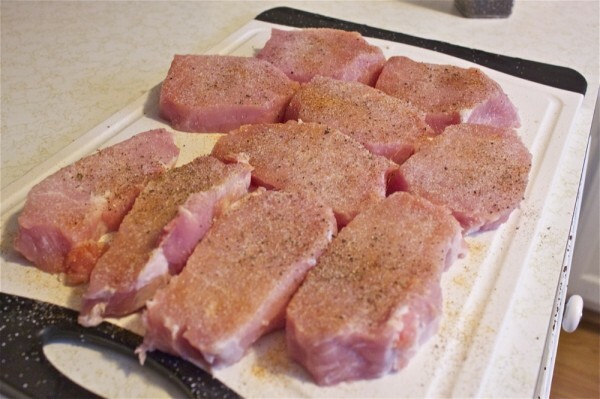 Start out by seasoning some boneless center cut pork chops with salt, pepper, garlic salt, onion powder, and Lawry’s seasoning salt. Make sure they are thick cut chops, you want them at least 1″ thick. I usually buy a whole pork loin and trim and slice it myself. Heat some vegetable oil in a large skillet over medium-high heat until its almost smoking. Add in seasoned chops and brown well on each side. While the chops are browning, thinly slice about 2-3 cups of onions. 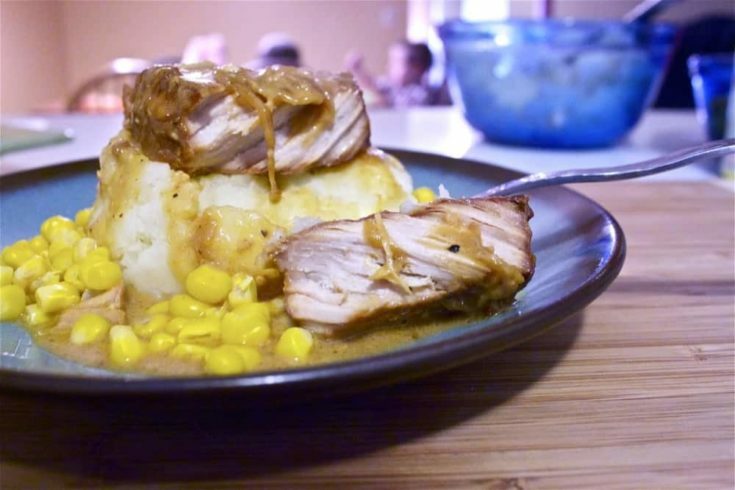 Place browned chops into a pre-heated crock pot. If you will be starting this in the morning, put it on medium. If you are starting this in the early afternoon, put it on high. Add a few tablespoons of additional oil to the pan if necessary and allow to heat up. Add onions to the pan and season with 1.5 tsp dry mustard, 1/2 tsp salt, 1/4 tsp ground black pepper, and 1/4 tsp cayenne pepper. Cook over medium-low heat for about 15-20 minutes, stirring frequently until the onions are cooked through and developing a nice color. Add minced garlic to the skillet, and cook, while stirring, for 1 minute. Add in your flour and stir until moistened, and cook over low heat for 2 minutes. Add in 3/4 cup of dry white wine (I use Chardonnay or Pinot Grigio), and the apple cider vinegar. Stir and cook until the mixture is thickened. Immediately pour over the pork chops in the crockpot. It will be THICK. This is totally normal! Cover and cook on high for 4-5 hours, on medium for 6-7 hours, depending on the heat of your particular model. When the chops are fork tender, remove from crock pot leaving behind as much of the sauce as possible. Stir in dijon mustard and heavy whipping cream. 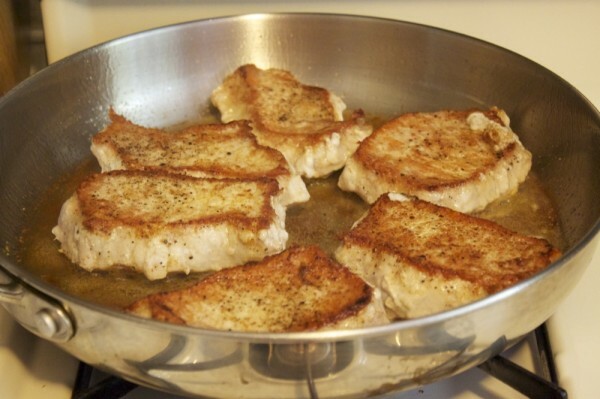 Pour over chops on a serving plate. 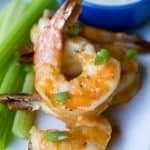 Serve hot with garlic mashed potatoes or egg noodles, and your favorite vegetable. 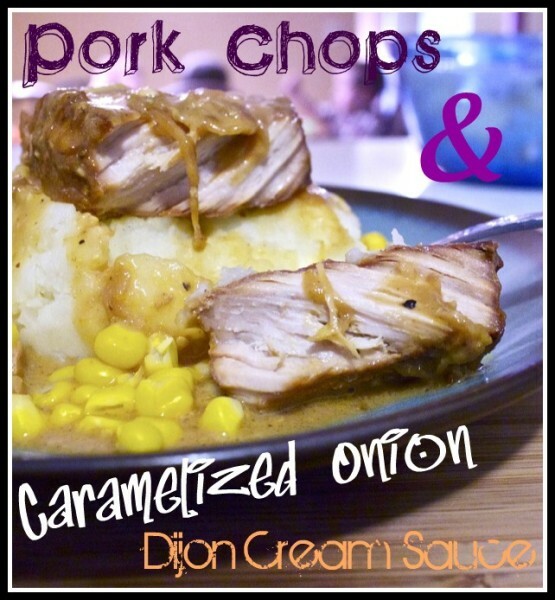 Slow cooked pork chops pair nicely with a Dijon cre am sauce for a tasty twist to your usually pork chop routine. 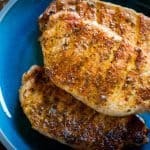 Season trimmed center-cut chops well with salt, pepper, garlic salt, onion powder, and Lawry's Seasoning salt. Heat 2 tablespoons of vegetable oil in a pan over medium-high heat. 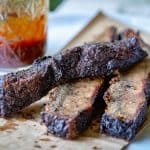 Brown chops well on both sides and remove to slow cooker. 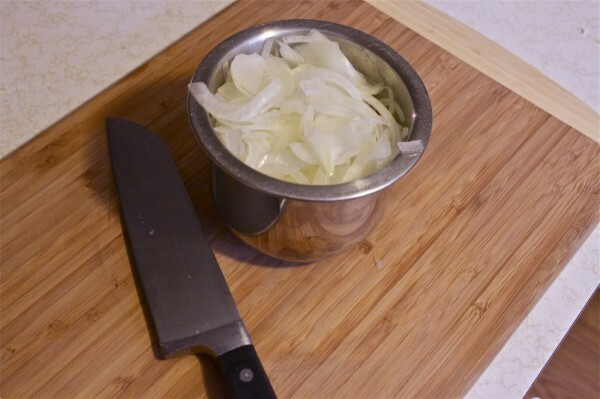 Thinly slice 2 large onions and place into pan with an additional 1 tablespoon of oil. 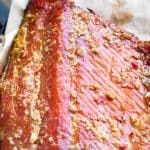 Add in 1.5 teaspoons of dry mustard, 1/2 teaspoon salt, 1/4 teaspoon ground black pepper, and 1/4 teaspoon cayenne pepper. 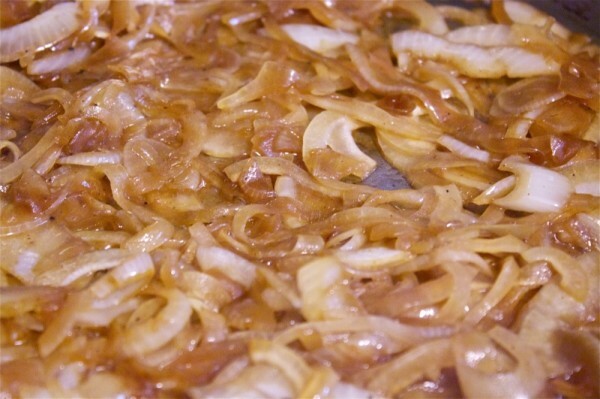 Stir well and cook over medium-low heat until onions are cooked, caramelized, and developed in color. Add to skillet 1.5 tablespoons of minced garlic. Cook 1 minute, stirring frequently. Add 3 tablespoons of flour. Stir until well combined and cook 2 minutes. Add 3/4 cup of white wine and 2 tablespoons apple cider vinegar. 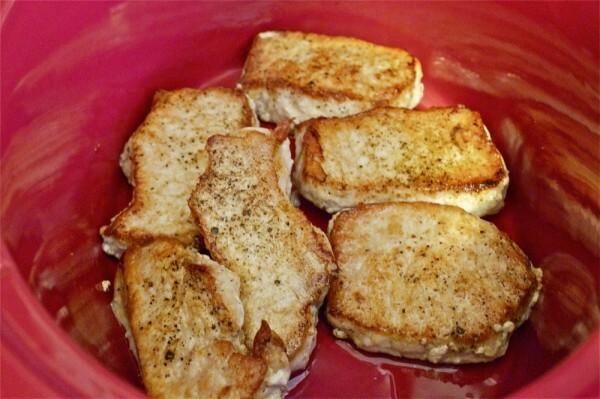 Cook until thickened and pour over chops in slow cooker. Cook 6-7 hours on medium, or 4-5 hours on high. Check approximately 1 hour before end of cook time as total cooking time will depend on your particular model of slow cooker. 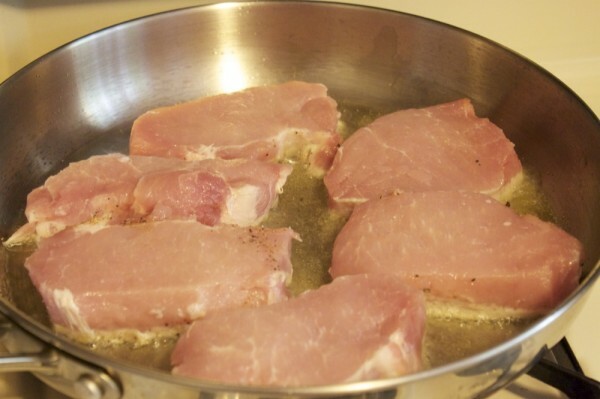 When chops are fork tender remove from cooker. 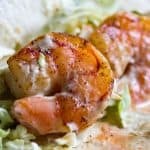 Add in 2 tablespoons Dijon mustard and 1/2 cup heavy cream. Stir well and pour over chops on serving plate. 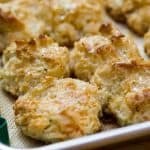 Serve with garlic mashed potatoes or egg noodles.